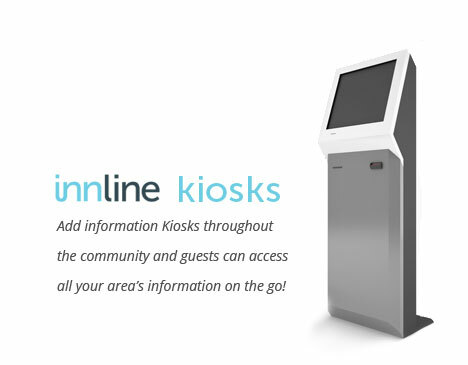 InnLine Kiosks enable visitors to your area to select a region from a map to see upcoming events for the selected region. Additionally, text, audio and video may be played while viewing regions. An easy-to-use editor accompanies this product, enabling the operator to fully customize all areas of the system: text/audio/video/pictures, events and editing of your regional map.